When I first spied this card, I thought it was maybe 50s. Then I saw the old City Hall/Public Library on the left and revised my estimate of the printing date. Later, I scored this specific card, which is dated, sort of. 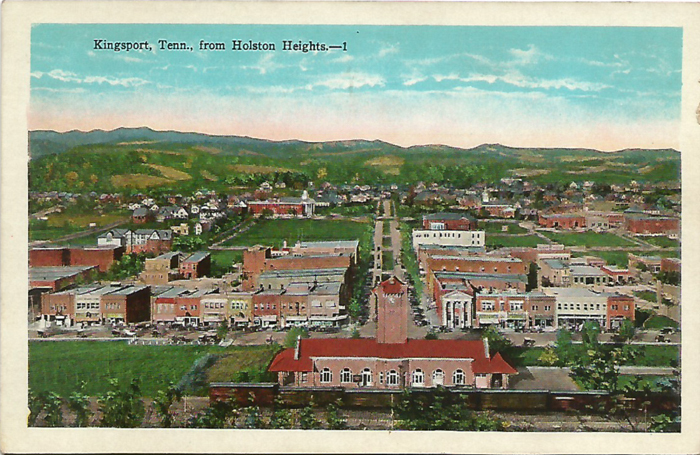 “Holston Heights”? We always called it “Cement Hill”. This is an E.C. Kropp card, printed in Milwaukee. Plate #4844-N. 333 miles is about right for Washington, D.C. (and a million other places). 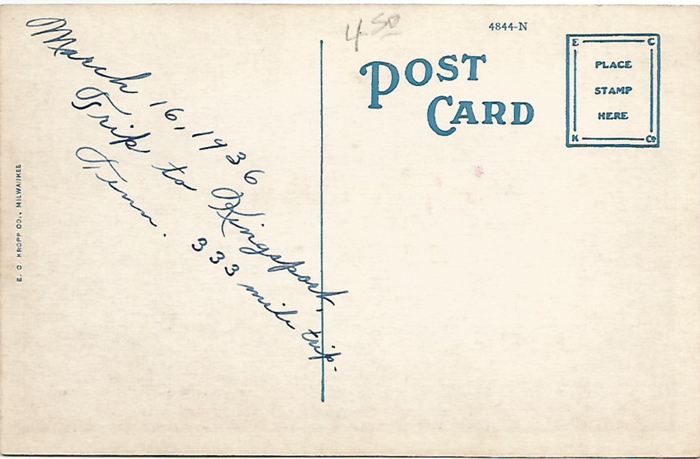 This entry was posted in Bob's photos, Kingsport TN ephemera and tagged E.C. Kropp, Milwaukee WI on October 30, 2014 by Bob Lawrence.